The Staghorn Slouch features two cable motifs, worked from the brim up – for your very own set of very chic antlers! 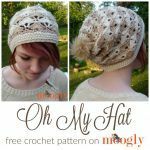 With both pom and messy bun versions to choose from, it might just be your favorite hat this season! 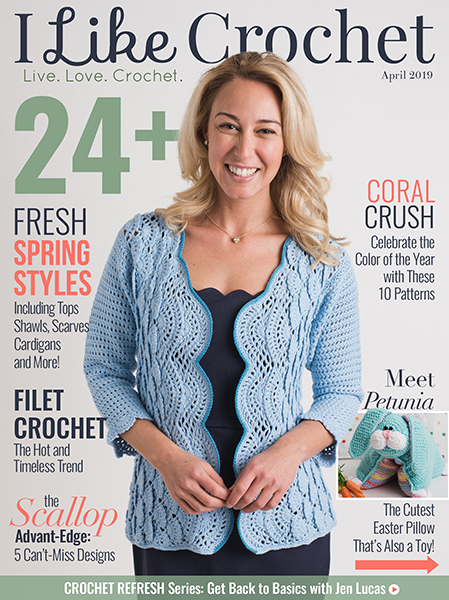 Crochet cables can make beautiful patterns, but here the staghorn cable pattern shines in a different way. This hat makes me think of reindeer, winter in the woods, hot cocoa, and the joy of the holidays. 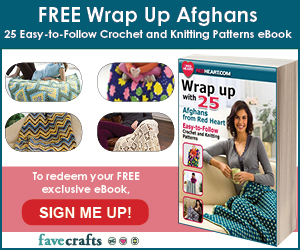 Part of this pattern is worked in turned rounds, aka joined rows. When directed with the instruction “turn,” after slip stitching to finish the round, turn to work back the other direction as if you were working in rows. Using a stitch marker in the last stitch of each round will help you find the first stitch of the next round. Rnd 1: Leaving a long tail, FHDC 54(62, 68); join to work in the round. (54(62, 68) sts) Use long tail to close bottom of first row (see linked tutorial above). Rnd 9: Repeat Rnd 5. Rnd 12 – 15: Repeat Rnds 8 – 11. Rnd 16 and 17: Repeat Rnd 8 and 9. Rnd 19 – 20 (SIZE SMALL ADULT AND LARGE ADULT ONLY): Repeat Rnd 5, do not turn after Rnd 20. Rnd 23: Repeat Rnd 22; break yarn leaving a long tail. (7(8, 9) sts) Use tail to gather crown closed and finish off. Add pom pom if desired. Repeat above instructions through Rnd 18 (skipping Rnds 19 and 20), then work as for Rnds 21 and 22. Rnd 23: Working sts to enclose the elastic hair band, (sc, ch 1) in each st around; join and break yarn. 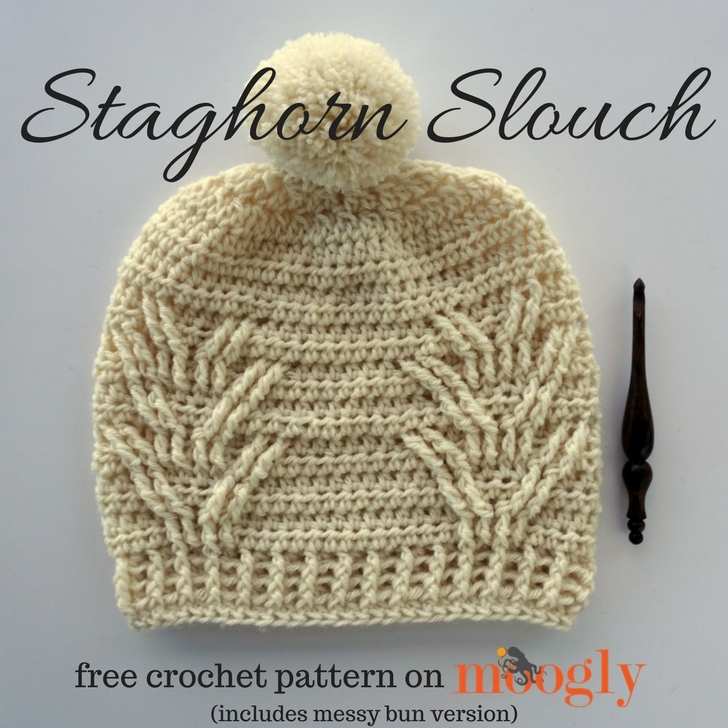 The Staghorn Slouch is fun, without being bright or shiny, and it makes me happy. I hope it makes you happy too! 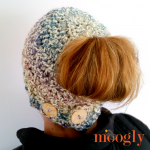 If you do make your own Staghorn Slouch, I’d love to see it – be sure to tag me @mooglyblog on Twitter or Instagram! Hi Tamara! This is a beautiful pattern. Hi Piper! After making the 2 long stitches, skip the 2 sts that you would have worked into if you were just hdc-ing across the row in each st, and then hdc in the 4 sts after that. Does that make sense? Love your patterns and tutorials. 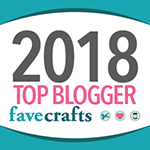 I am making this Staghorn Messy Bun hat and was stuck on Round 8 because the pattern did not mention that we were supposed to skip the last two fptr, of the 4 that were 2 rows down. In December, 2017 Piper brought this up and I saw your answer to her question. Unfortunately the pattern has not been updated to reflect this extra step. 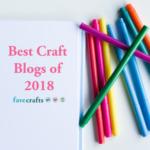 I have made several of your blankets as gifts and have received many compliments on them. Thank you for your time in designing, videos, and encouragement. I’m having a problem with row 8, the fpdc does not line up, there are 4 stitches being lest alone. What am I doing wrong! Hi Cheryl! I’m happy to try to help! I don’t know what size you’re making, and there’s not a fpdc used in that round, so I’m not sure exactly where you are in there. Can you give me a little more info? If you’d like to send photos, my email is [email protected] 🙂 That might be a lot easier and ultimately quicker! Love this pattern! Thank you for sharing. I have question about hdc in 3rd loop. Do you use 3rd loop in front or back ? Thank you! I am puzzled as to why round 8 ends with “turn,” instead of “join and turn.” It seemed to create an unnecessary hole in my hat. My apologies Tonya, that was a typo or transcription error – and you were the first to spot it, or at least the first to let me know. I will correct it now. 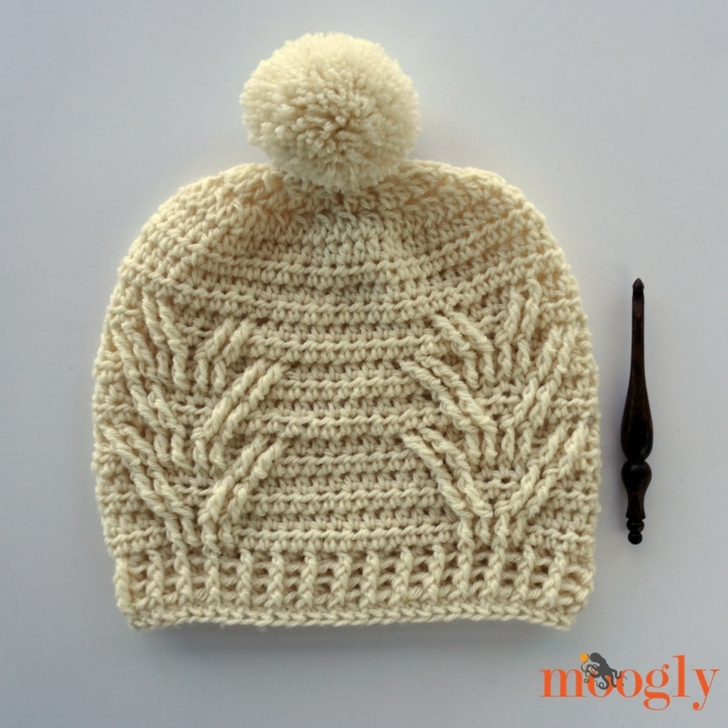 And since I was a little worried as I progressed that the ‘one skein’ deal might apply to just the hat with fake messy bun I can assure future Staghorn Slouchy makers: I made the large size hat and pom pom, and still had several feet of yarn left over. 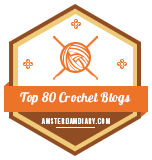 It is a fun pattern: easy and fast! Thank you for letting me know about the error! 🙂 I’m glad you liked it otherwise! 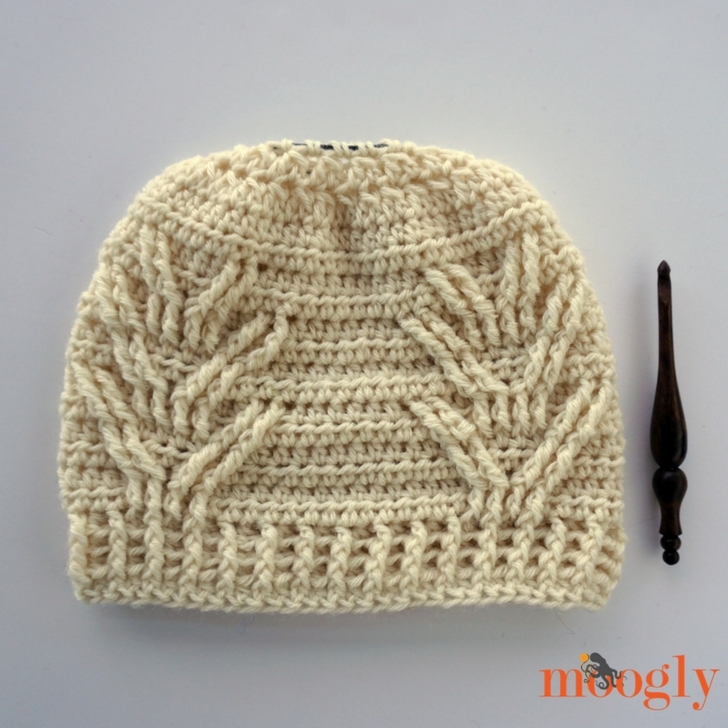 I had so much fun making this Staghorn Slouchy. Made the messy bun/ponytail version for me and the pom pom version (without the pom pom) for my sisters. 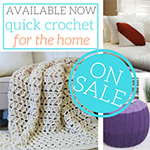 I used Caron One Pound yarn in Off-White with an I-Hook and the measurements came out perfectly. This is the third hat pattern that I’ve tried and enjoyed from your website. 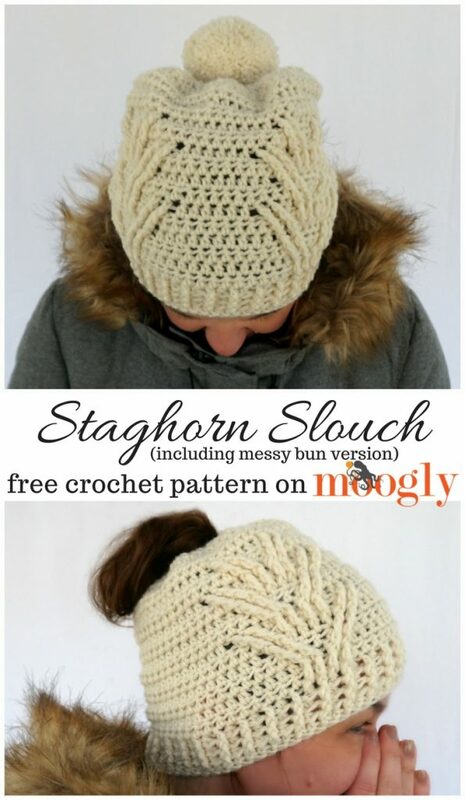 I’d love to see one of your slouchy patterns using a cable stitch. Thank you for sharing your unique designs. 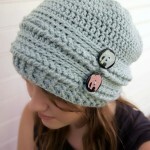 Do you have a video on making this hat? I don’t see it on YouTube. I am not very good with written patterns. I can do it better watching a video. Hi Debi! This one doesn’t have a video I’m afraid! Does it make a difference with this hat whether you are left handed? Thank you so much for the quick reply! Having trouble with row 8, but I’m trying to muddle through it. My first two fptr no bending over to the side like the picture what could I be doing wrong? Through patience and alot of ripping out stitches I got the hat made! Yippee!